Regarded as the one of the best players to have ever played, Pele has represented his Country on the biggest stage at the biggest event in the World. Pele has succeeded on the World Stage in guiding Brazil to World Cup Glory in 1958, 1962 and 1970. 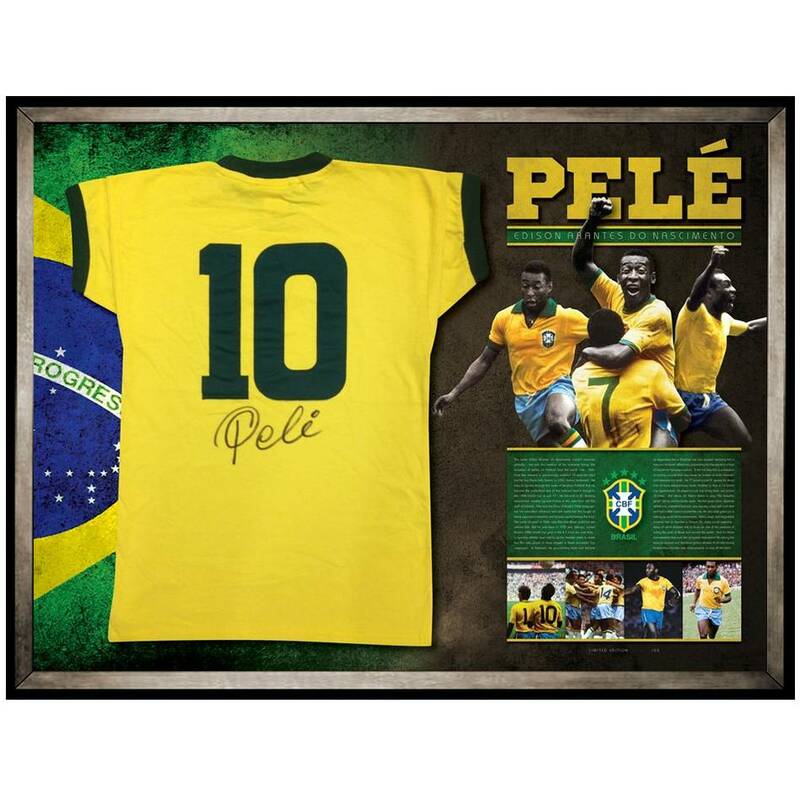 Official Memorabilia, in association with Icons UK, are proud to present the Pele Personally Signed Brazil Shirt, presented in a deluxe timber frame, pays tribute to one of the greatest football players ever and is a must have for astute collectors and football fans.